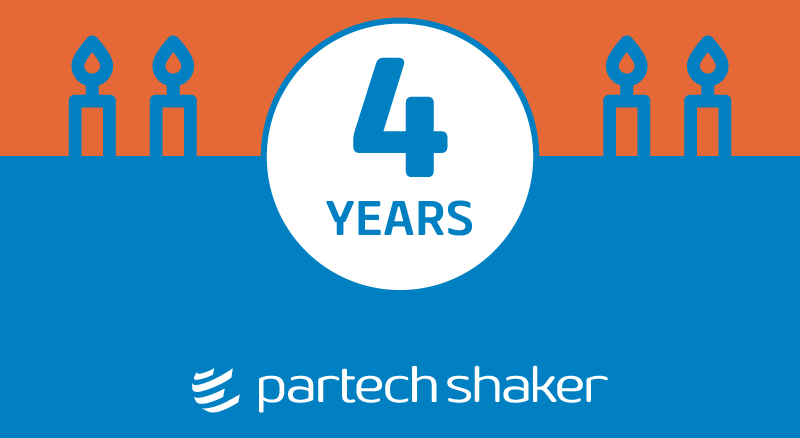 On September 15th, the Partech Shaker celebrated its four-year anniversary. Over these four exciting years, the startup campus designed by Partech has confirmed and developed its ambitions to accompany both eager-to-scale startups and traditional companies of all sizes through their digital transformation & launch of innovative new businesses. Unique in many ways, the Partech Shaker has become a stimulating environment where startups can grow and accelerate, with a privileged access to Partech’s significant tech and business network. Thanks to Partech Shaker’s soft-landing program “Europe Made Easy”, numerous foreign tech companies are now working from Paris (HotelTonight, Liftoff, Cambridge Blockchain, Made.com & many more) to conquer the European market and tap into the local tech talents pool. Last, but not least, a number of large companies have learned how to design & launch a product like a startup through counselling & intrapreneurship programs. Over the last 2 years, the Partech Shaker has also partnered with Techstars to launch Techstars Paris so that entrepreneurs can benefit from the best acceleration programme worldwide, in Paris! More about Partech Shaker, the startup campus for tech companies from all over the world.